Robot arm can feed people with mobility issues - M9 Engineering Group Inc.
A robotic arm which can pick up food and feed a person autonomously has been developed by the University of Washington. 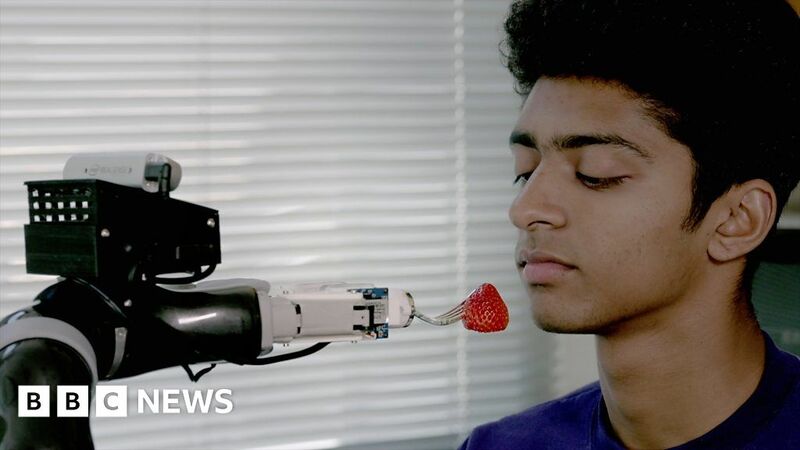 The Assistive Dexterous Arm (ADA) uses sensors and algorithms to identify food on a plate and works out the best way to pick it up and also feed it to the person. Researchers hope it will assist caregivers in feeding fruit and might one day be able to feed “realistic” meals with further development.